This little Kentucky distillery is a unique one, to put it simply. Their reputation and fairly consistent presence on the store shelf rivals that of the distillery titans that surround them. Take Jim Beam, for example. Beam employs nearly 300 people to operate their massive distillery. 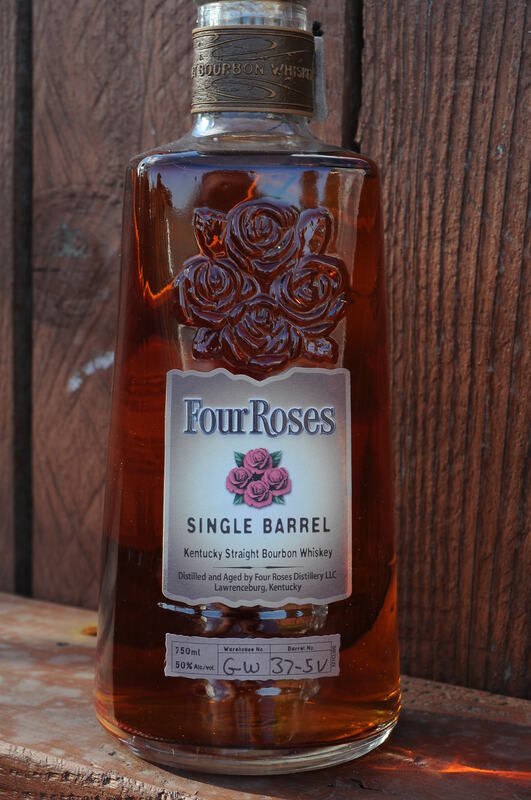 Four Roses utilizes about half a dozen. Jim Rutledge, Master Distiller for Four Roses, oversees what one might say a singular operation in the world of Kentucky Straight Bourbon whiskey. You see, this distillery produces ten distillates (five yeast strains, two mash bills) of individual flavor profiles to blend together, thus creating their standard Four Roses bottling. Nose – Sweet, delicate, even floral but caramel and oak are here as well. Light spice and some earthy notes. Great balance. Taste – Honey and spice. Light maple sweet and some fruit. Finish – Long, spicy explosion. Comment– Very nice! Gentle on the nose and flavorful. Good complexity, contemplative.